Bali has many traditional art and unique cultures. You can enjoy a great holiday or adventure in Bali. One of the musical art that can be found in Bali is "Gender" or Gamelan that you can watch the puppet show or in a traditional Hindu ceremony on the island of the Gods. 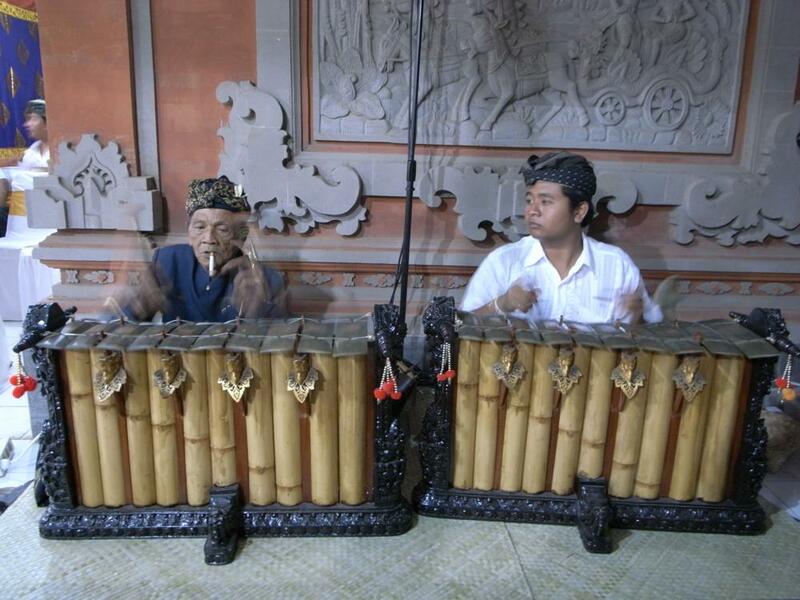 In the video below, you will hear and see the beauty of Balinese gamelan instruments, namely Gender, which is usually played by two players or four. 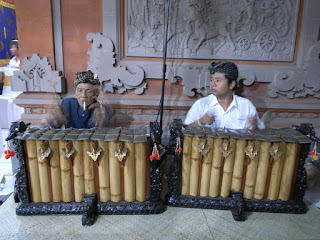 They usually accompany a traditional Balinese puppeteer or Dalang (Wayang) or a singer. On this occasion, we present them in a format instrumental performances. Gender or gamelan performances that you see in this video recorded at a ceremony in a Hindu temple, Pura Amarta Jati, South Jakarta, Indonesia; where the Balinese people living in Jakarta and surrounding areas. As a society that loves art and culture, they will bring as well as art, tradition and culture them anywhere, even you will discover the beauty of art and the traditions of Bali in Europe, for example in Belgium or Germany, and important places other world.